UPDATE 10/30/18: The Chancellor’s Book Club has been rescheduled for Monday, Nov. 12, at 3 p.m. in the E. Bronson Ingram College Great Room. 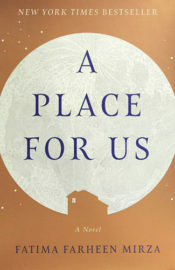 Chancellor Nicholas S. Zeppos will host a gathering of the recently launched Chancellor’s Book Club on Monday, Nov. 12, to discuss A Place for Us by Fatima Mirza. The discussion, which is open to all members of the Vanderbilt community, will take place at 3 p.m. in the E. Bronson Ingram College Great Room, and light refreshments will be provided. Free copies of the book were available for up to 50 students, faculty and staff who plan to attend the book club. All of the free copies have now been claimed. Barnes & Noble at Vanderbilt also will have copies of the book available for purchase. Zeppos launched the Chancellor’s Book Club in September as a way to promote civil discourse on contemporary issues. 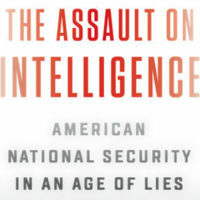 The first book in the series was The Assault on Intelligence: American National Security in an Age of Lies by Gen. Michael V. Hayden, the former director of the National Security Agency and Central Intelligence Agency. Information on future book club events will be made available on the Chancellor’s website.